Robbie Burns turns 250. Now that’s longevity! Saturday Jan 24th, 2008 The Wine Ladies ventured into somewhat less familiar territory, the territory of Scotch. In honour of the great Scottish poet Robbie Burns we attended his 250th birthday party at the LCBO Summerhill store in Toronto. This is one of many events going on around the world this year including a year- long Homecoming Scotland celebrations. The party began with a colourful parade as “Robbie Burns” led the cast of characters. Including the presentation on a large platter, the legendary Scottish dish Haggis into the event kitchen in the store. 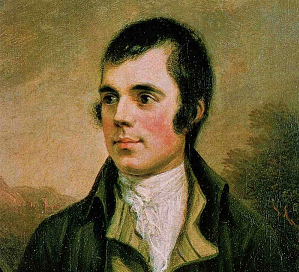 Once inside “Robbie Burns” recited the poet’s immortal Address to the Haggis’. We were advised that there would be an interpreter provided as he recited the poem. Believe us we needed one as we stood there listening without a clue what he had said. Unfortunately, there was no translation forth coming so we still don’t know what he said but we were most charmed by the thick accent and passionate delivery of the poem. While waiting for the Haggis to be ready we were treated to a spirited Highland dance. Two fine ladies of the Scottish Dance Company performed several flings, jigs and reels. We were exhausted just watching these ladies as it takes tremendous physical fitness to perform this art of dance. Now, we know aerobics were invented in Scotland and not California. We also were poured a wee dram of 12-Year-Old Single Scotch Whiskey from Bowmore Islay as well as an Cnoc 12-Year-Old Single Scotch Whiskey. Now these two whiskeys delivered and were rich and complex. Magnificent! And finally, the moment we had been waiting for in trepidation. The tasting of the Haggis. Neither one of us had ever tried this and had avoided it up until that very moment. As we know this dish has had a bad tasting reputation. Well much too our delight we were most definitely surprised and this Haggis was very tasty indeed. Chef James of The Old Mill Restaurant had prepared a delicious Haggis for us all to enjoy! The LCBO offers some 150 single malts and 40 blended Scotches throughout its 605 store network. LCBO single malt sales grew by 7.2 percent in 2008 over the previous year. The LCBO sells more than $35 million worth of single malt Scotch whiskey and more than $93 million worth of blended Scotch whiskey annually. Visit the Homecomings Scotland website for details on this year-long 2009 celebration. At a recent dinner party I attended the hostess noticed a small amount of sediment that looked like tiny pieces of glass at the bottom of a bottle of white wine from Germany. I was a little hesitant to drink the wine but one of the guests assured us the wine was fine and there was no cause to worry. What were those little pebble-like stones and are they really harmless? 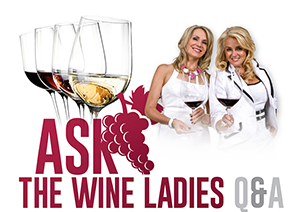 Those pebble-like wine stones you are describing are commonly referred to as “wine diamonds” or weinstein which literally translates to “wine stones” in German speaking countries. 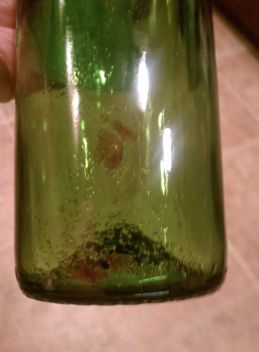 What exactly are they and how did they end up at the bottom of the bottle? These wine diamonds are actually harmless crystalline deposits that naturally separate from wines during fermentation and aging. Potassium acid tartrate, the potassium salt of tartaric acid is the major component of this sediment. The presence of tartaric acid, along with malic acid are very important in winemaking as they help provide good structure, fruit flavours, crispness on the palate and an increased lifespan of the wine. 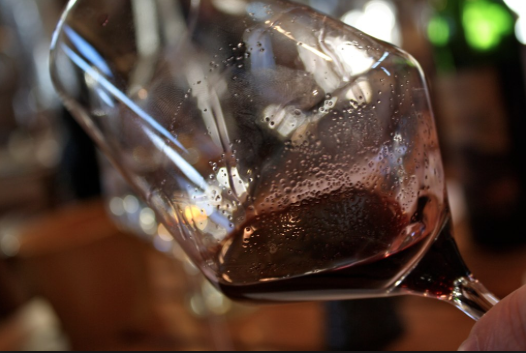 The majority of winemakers today recognize that the consumer is alarmed or put off by the presence of these crystalline deposits even though they are harmless. Rather than educating the public, many wineries employ a process called “cold stabilization” prior to bottling. This involves chilling the wine to just below zero degrees causing the potassium bitartrate to crystallize. The wine is then filtered and bottled. Having the wine undergo this process prior to leaving the winery assures a clean filtered wine with no sediment. In cases where the wine does not undergo cold stabilization at the winery, this precipitation of the tartrates could happen during cold weather transport or cold storage conditions.